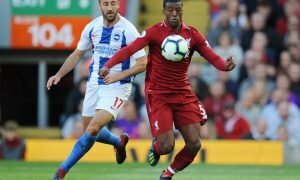 Brighton boss deciding on January recruits | The Transfer Tavern | Where football transfer rumours fly or die! The Brighton & Hove Albion fans are this evening gathered around the bar in The Transfer Tavern discussing comments made by their manager with regards to the clubs January transfer window activity. Speaking to The Argus, Brighton boss Chris Hughton confirmed that the club are weighing up whether or not to bring in a winger during the window, following an injury sustained by Solly March which has ruled him out for the season during the Derby County game at the weekend. The Brighton fans in The Transfer Tavern are hopeful that the club will strengthen the wide areas, and hope that the club can sustain their push for a place in the Premier League next season. Will Brighton win the Championship? Let us know in the comments below!